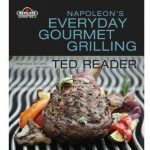 Taken from Napoleon’s Everyday Gourmet Grilling. Toss the tomatoes and red onion in the ¼ cup (60 mL) oil and season with salt and pepper. Grill until lightly charred and tender, 7 to 10 minutes (tomatoes will be done before the onions). Finely dice tomatoes and onions with a very sharp knife. Combine in a bowl with the 3 tbsp (45 mL) oil, parsley, basil, Grill-Roasted Garlic, balsamic vinegar, and lemon zest and juice. Mix well, taking care not to crush the tomatoes to pulp. Season to taste with salt and pepper. Set aside. 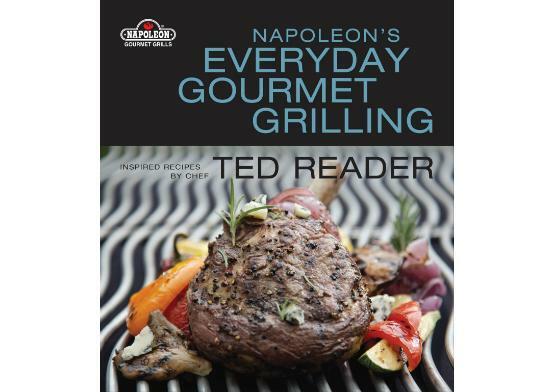 Grill baguette slices 1 to 2 minutes a side, or until lightly browned and crisp. Place a heaping spoonful of the tomato and onion topping on each slice. Sprinkle with Parmesan cheese and serve. Preheat grill to medium (350F/175C). Take a sharp knife and slice the top off each head of garlic about one-quarter to one-third of the way down so as to expose some of each clove. Place the garlic heads in the centre of a double layer of heavy-duty aluminum foil about 12 by 12 inches (30 by 30 cm) square. Drizzle the heads with olive oil and turn them upside down on the foil, then bring the ends of the foil up to create a pouch. Crimp the ends tightly to seal. 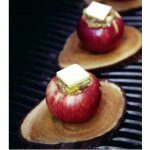 Place the pouch of garlic on the grill and roast for approximately 1 hour, or until very tender. Remove pouch from the grill and carefully unwrap, taking care to let steam escape. Remove garlic cloves from the heads by squeezing gently to pop them out. Use a small fork to dig out any stubborn ones. Garlic can be wrapped and stored in refrigerator for 2 weeks of frozen for up to 3 months.